Sesame Workshop and the International Rescue Committee (IRC) are embarking on a multi-year intervention to bring early learning and nurturing care to children and families affected by the civil war in Syria, with the aim of developing a framework that can be used in other humanitarian situations. The six-year-long conflict in Syria has caused massive displacement, exposing children to violence and preventing early learning opportunities that are critical to their well-being. Across the globe, the scale of today’s refugee crisis is staggering – right now, 65 million people are displaced, and over half of all refugees are aged under 18 (UNHCR, online). The daily effects of violence and neglect put these children at high risk of experiencing ‘toxic stress’, a disruption of the normal neurological and biological processes critical to brain development that can lead to lifelong impairments including poor physical and mental health and cognitive deficits leading to reduced economic earnings (Britto et al., 2016). Given the number of children affected, the ultimate impacts on society will be large. Children are remarkably resilient – the damage they have suffered can be reversed, if we reach them early (Britto et al., 2016). 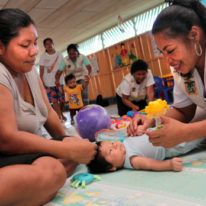 Despite the robust evidence pointing to the need to safeguard early childhood development in crisis contexts, however, the humanitarian system often maintains a narrow focus on survival, focusing on basic needs such as food and shelter and neglecting other critical areas: on average, for example, less than 2% of humanitarian response funding goes to education and just a small fraction of that is dedicated to early childhood interventions (UNESCO, 2015). Many children spend their entire school careers in refugee settings – refugees today are displaced for an average of 17 years, or 23 years for those internally displaced. Starting early, with interventions that promote school readiness, is critical to their chances of getting a good education. There is therefore a great need for a bold new approach to early childhood development in refugee situations – one that is operationally feasible with existing systems, is long-term, durable, and has the potential to scale and replicate. 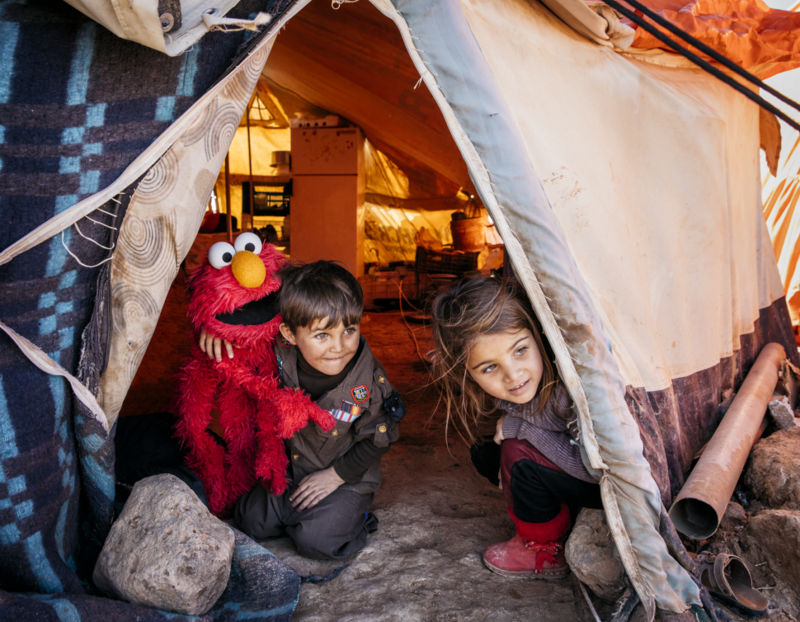 This partnership between the non-profit Sesame Workshop and the IRC brings together the power of the former’s proven educational content and the latter’s expertise in working with children and families in conflict settings. With over 80 years’ experience of responding to the world’s worst humanitarian crises, the IRC has made a difference to 23 million people across 40 countries. Sesame, meanwhile, has almost 50 years’ experience, across 150 countries, of creating research-based educational content tailored to children’s specific needs, with Sesame Street’s Muppets imparting both simple and difficult lessons, always from a child’s perspective. 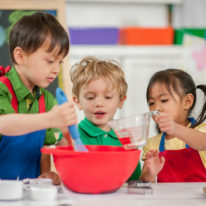 Content created through Sesame Workshop’s international initiatives has been shown to have a positive impact on children’s cognitive skills, learning about the world, and social reasoning and attitudes, while children’s exposure to Sesame Workshop content is correlated with knowing more about topics covered in the show (Mares et al., 2015). training resources for service providers working with young children and their caregivers. The intervention aims to be intense enough to be life-changing, but cost-effective enough to be scalable. It will create an evergreen library of global content to be disseminated through the IRC’s existing partner networks, including schools, community centres, social protection programmes and health centres. It will disseminate content widely via mobile, broadcast, and print media, and leverage the wider network of service providers supporting refugee communities in the Syrian response region. 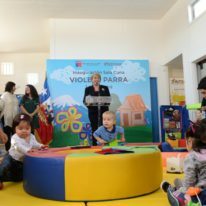 It will reach families where they are, with content that addresses children’s immediate needs and builds a strong foundation for their future well-being. Once the model has been tested, it would be open for others to implement in order to scale beyond IRC’s current working areas. Formative research and initial testing of existing Arabic-language Sesame content, working with the IRC team in Jordan, has been funded by the Bernard van Leer Foundation and the Open Society Foundation. The initiative is also one of eight semi-finalists for the MacArthur Foundation’s ‘100&Change’ grant (MacArthur Foundation, online). The pilot phase will allow us in the IRC and the Sesame Workshop to create an educational framework that focuses on the needs of young children and caregivers affected by displacement and will also help to inform a broader regional initiative as we move forward. Beyond the pilot phase, our approach and the research we generate as part of the larger initiative will inform and reshape services being offered in the wider humanitarian system. 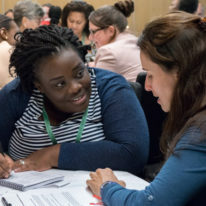 Research topics will include, for example, how young children and families respond to and engage with the content and materials, which delivery platforms are most effective, and how behaviour change and learning outcomes are impacted by multimedia materials in these settings. We will invest heavily in impact evaluation by integrating a randomised controlled trial in the implementation phase. This trial will assess the intervention’s impact on physical development, literacy and numeracy knowledge, and social-emotional skills. The research we gather will help inform a blueprint for working in future humanitarian crises – creating a framework that can be replicated in other contexts, for generations to come. "Children are remarkably resilient – the damage they have suffered can be reversed, if we reach them early."